Oregon Attorney General Ellen Rosenblum led a coalition of 10 state Attorneys General in filing an amicus, or “friend of the court”, brief in support of Vermont’s petition challenging loopholes in the Environmental Protection Agency’s (EPA) recently adopted Mercury Rule. A copy of the filing with the Second Circuit Court of Appeals can be found here. The ‘Lautenberg Act’ amendments to the Toxic Substances Control Act, passed in 2016, required the EPA to develop a comprehensive inventory of mercury use in the United States, and required importers and manufacturers of mercury-added products to report if their products contain mercury. Congress instructed the EPA to write rules implementing the Act. But the EPA’s rule creates loopholes that violate both the letter and the spirit of the amendments. Attorney General Rosenblum thanked Vermont Attorney General T. J. Donovan for leading on this issue, and noted that Oregon and Vermont are long-standing partners in environmental protection, including being the first two states to pass ‘bottle bills’ in the early 1970’s. Oregon was joined on the brief by Connecticut, Hawaii, Massachusetts, Maine, Maryland, Minnesota by and through its Minnesota Pollution Control Agency, New Jersey, Pennsylvania, Rhode Island, and Washington. 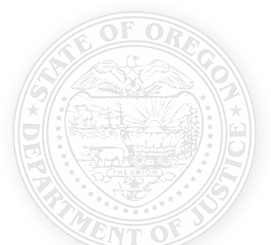 The Oregon Department of Justice (DOJ) is led by Attorney General Ellen Rosenblum, and serves as the state’s law firm. The Oregon DOJ advocates for and protects all Oregonians, especially the most vulnerable, such as children and seniors.